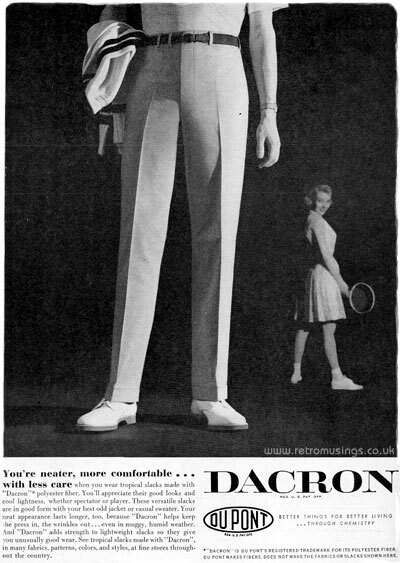 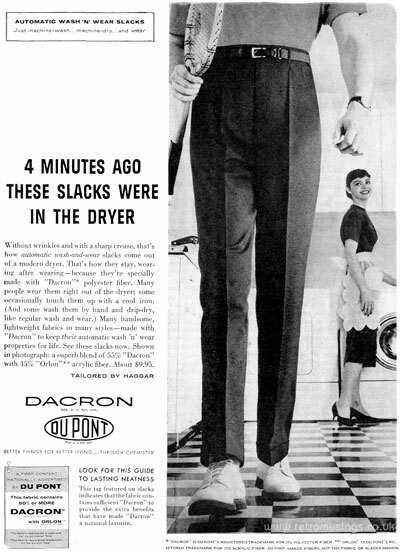 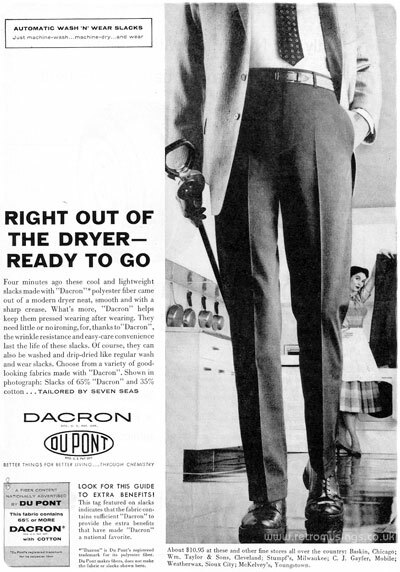 These ads for men’s trousers made from Du Pont “Dacron” polyester and “Orlon” acrylic fibre date from 1956-58. 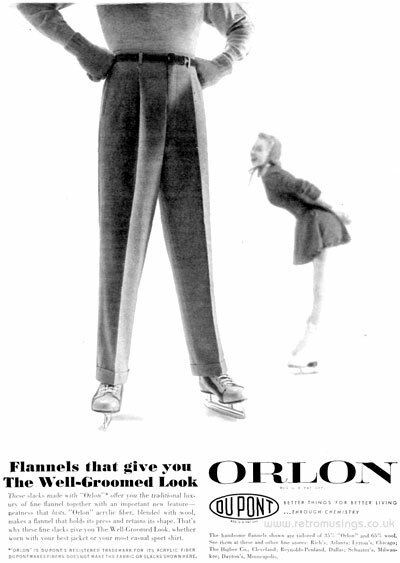 The ads featured a pair of men’s legs in the foreground and woman in the background. 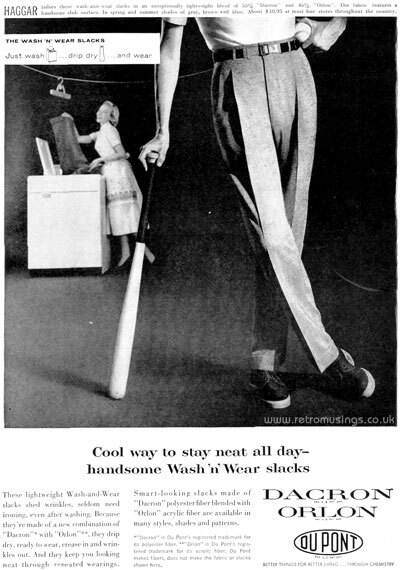 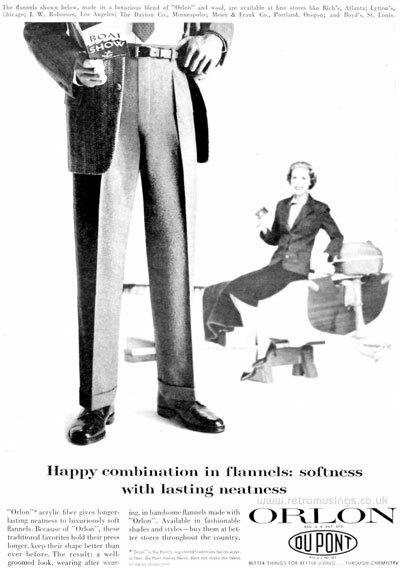 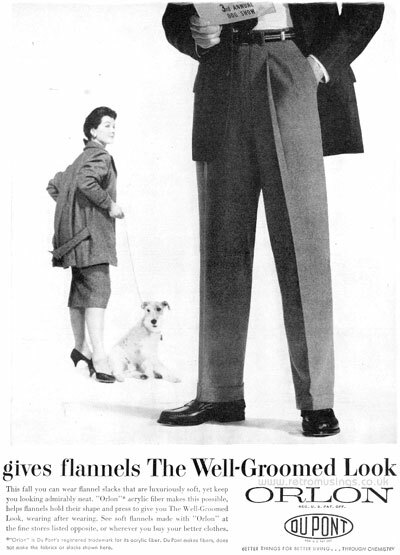 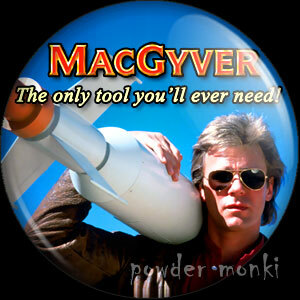 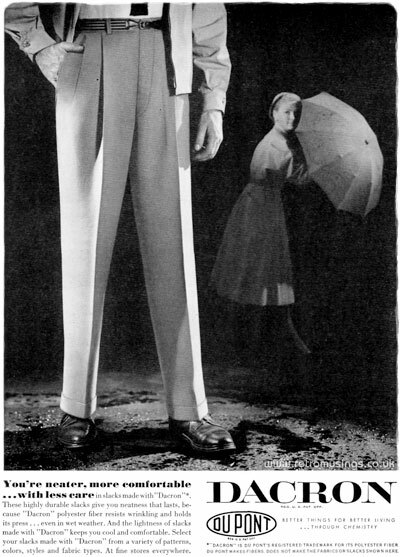 The trousers shown in the ads were tailored by various companies using fabrics made from Du Pont fibres, including Hubbard, Haggar,and Seven Seas. 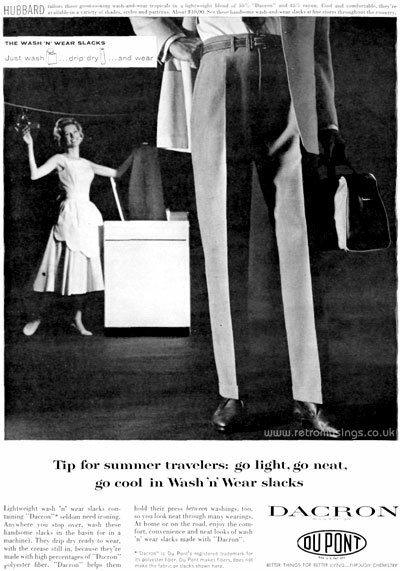 Van Raalte ~ Lingerie Adverts [1959-1964] "VR"
Coca Cola ~ Soda Adverts [1959-1960] "Be Really Refreshed!" 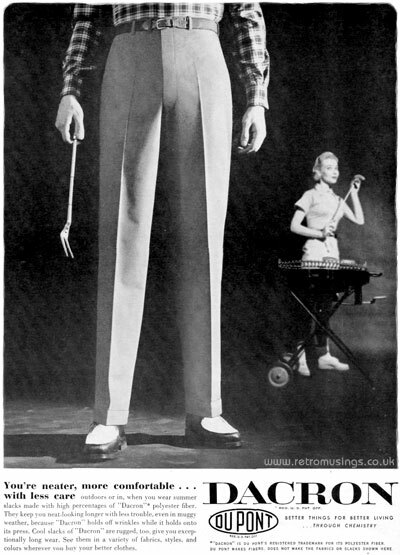 Coca Cola ~ Soda Adverts [1963-1965] "Things Go Better With Coke"